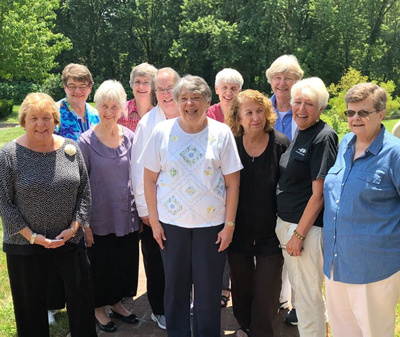 The Sisters of Loretto elected Sister Barbara Nicholas SL as their new president at the congregation’s weeklong delegate assembly this July in Shepherdsville, Kentucky. The 1965 graduate of Webster University (then Webster College) will begin a six-year term on Jan. 1, 2019. The role of president provides leadership and a focus of unity in fostering the life and mission of the Loretto Community. Sister Barbara currently serves as a member of Loretto’s Executive Committee and Community Forum. She previously worked for the past 38 years with Baptist Health Louisville as a cancer resource nurse, resigning from this position this past June. 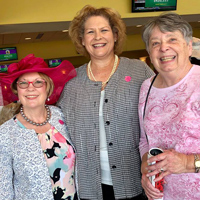 Also at the July assembly, several fellow Webster alumni (Sharon Kassing '67, Mary Catherine Rabbitt '69, Vicki Schwartz '63) were named to the executive committee for three-year terms. They are also graduates of Nerinx Hall, the Sisters of Loretto high school that neighbors Webster University's main campus in Webster Groves, Missouri, where Webster was founded in 1915. New Sisters of Loretto leadership, photo by Ruth Routten CoL: Front row, from left, are Vicki Schwartz SL, Sonja Earthman Novo CoL, President-elect Barbara Nicholas SL, Paulette Peterson CoL, Mary Helen Sandoval CoL and Sharon Kassing SL. Back row, from left, are Cathy Mueller SL, Jane German CoL, Mary Catherine Rabbitt SL, VP-elect Mary Margaret Murphy SL and Susan Kenney CoL.